Pies looks at eleven players who made a mockery of tradtional XI with their crazy, mind-bending shirt numbers. At least it proves some footballers can count about 11! The Portuguese keeper donned the number 99 shirt for the first time for Porto’s European Cup victory in 2004. Buffon was accused of being a fascist after requesting the number 88 while at Parma. His critics claimed this was number code for HH or Heil Hitler. The keeper himself claimed the gesture was his numeric tribute to an Italian saying about strong men having four balls. There are 17 vacant squad numbers between Barnsley defender Werling and the highest numbered reserve player at Oakwell. And he was wearing a different number on his shorts against West Brom at the weekend. Although most people assumed the French full-back was a cheeky chappy, he always maintained that he picked his squad number because he was born in 1969, he is 169cm tall and weighs 69kg. The Swiss international allegedly let US culture go to his head when he signed for Dallas Burn and picked his shirt number in honour of Route 66. The Argentine midfielder wore the number 1 shirt at the 1982 World Cup after the squad numbers were allocated by alphabetical order. The Chilean international was forced to give up his number 9 shirt when Ronaldo joined Inter Milan as part of the bouncing Brazilian’s sponsorship deal with Nike. Zamorano took the number 18 shirt and insisted on having a plus sign inserted between the two digits. The Flamengo player celebrated the club’s 111th anniversary in true South American style – by sticking another digit on his shirt! The Moroccan striker was given permission to wear the number 0 in honour of his nickname (Zero, in case you need that spelling out!). The Mexican striker became the first player to take to the field wearing triple figures while playing for Chivas de Guadalajara. 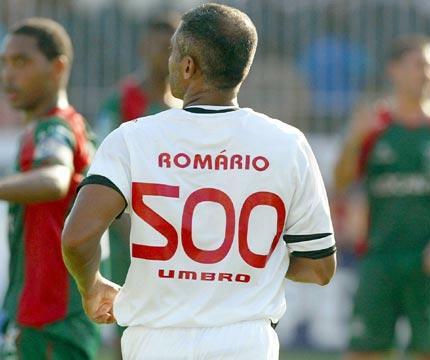 The crazy Brazilian wore the number 500 shirt while making his 500th appearance for Vasco da Gama. Baia picked the number 99 to celebrate his return to Porto from Barcelona in 1999. And didn’t the keeper have no. 5 in the Ardiles-days?